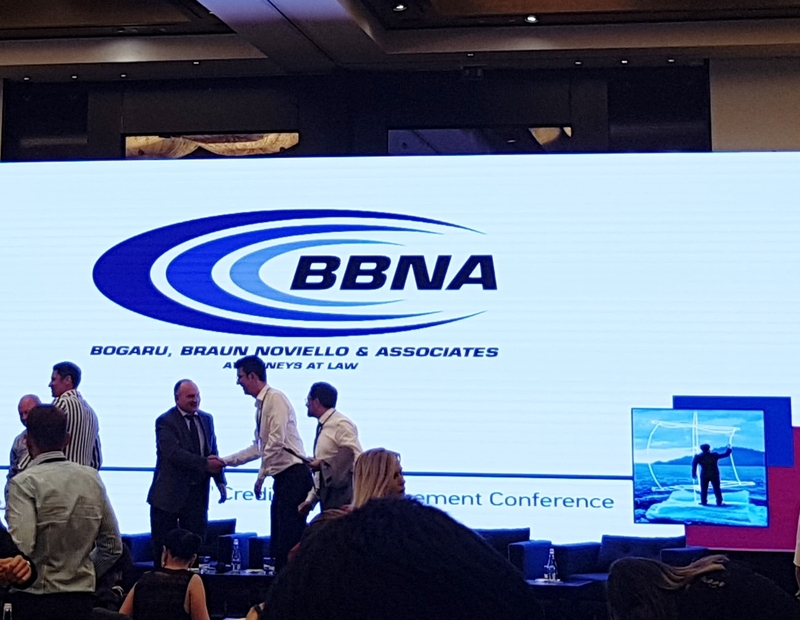 We would like to announce the participation at 9th Credit Risk Management Conference, organized by ICAP Romania, where Christian Bogaru, Managing Partner of Bogaru, Braun Noviello & Associates was invited as speaker in the panel. Safety vs Growth was the main theme of the conference lead by Emma Zeicescu, event coordinator and TV producer, which challenged the interaction of the panelist, Cristian Paun, Dean of the International Foreign Relations, Academy of Economic Studies, Christian Bogaru, Managing Partner, Bogaru, Braun Noviello & Associates, Vasile Godanca-Herlea, CEO, Casa de Insolventa Transilvania, Cornel Caramizaru, Managing Director, FrieslandCampina Romania, Jean Dumitrescu, CFO, Aquila Group and the auditory. The safety topic respond, also to the hot subject of General Data Protection Regulation (GDPR), being the most important change in data privacy regulation in the last 20 years. The GDPR is a comprehensive law that gives European citizens more control over their personal data and seeks to clarify rules and responsibilities for online services with European users and applies to any organization that collects, processes, manages or stores the data of European citizens.